Samsung has announced a new offer in India that allows buyers of Galaxy Note9 smartphone to purchase the company’s 512GB microSD card at a huge discount. This offer is applicable on the 512GB variant of the smartphone only, and not the 128GB variant. Moreover, the company is running a contest under which three winners will get the handset and the card for free. The offer highlights that the Samsung Galaxy Note9 is the first 1TB-ready smartphone in the country. The Galaxy Note9 is the brand’s flagship smartphone, with a 6.4-inch display with S Pen support, dual rear cameras, 4,000mAh battery, and Exynos 9810 SoC as its highlights. 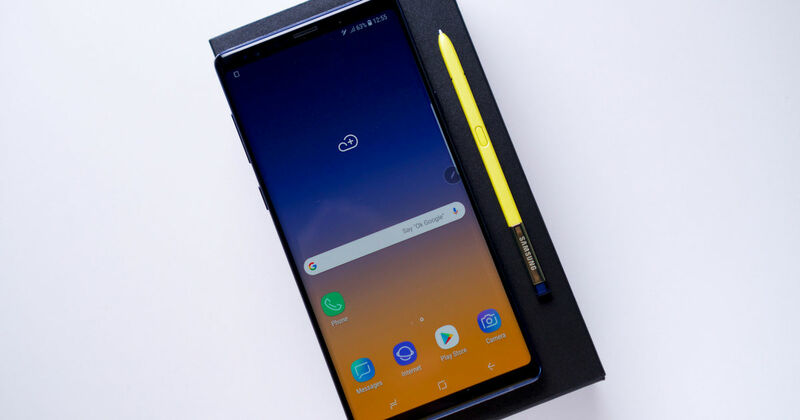 Under the offer, those who purchase the Samsung Galaxy Note9 512GB model will be eligible to buy the 512GB Samsung EVO Plus microSD card at an additional Rs 4,999. This represents a discount of Rs 17,901 over the card’s official price tag of Rs 22,990. This offer will run till December 31st, the company said in a statement. Apart from this, the company is running a 1TB Challenge and has invited people from across the country to share their memories of 2018 with it through WhatsApp. The three winners will receive Galaxy Note9 512GB variant with the 512GB EVO Plus microSD card for free. “Galaxy Note9 is a true performance powerhouse, meant for those who ‘Want-it-all’. With the 1TB-ready Galaxy Note9, we continue our philosophy of meaningful innovation and deliver unmatched performance to our users. Consumers no longer need to worry about what to delete from their phone and can let their performance and imagination go to the next level,” said Aditya Babbar, General Manager, Mobile Business, Samsung India. Samsung Galaxy Note9 has a 6.4-inch Super AMOLED Infinity Display screen with 1,440 x 2,960 pixel resolution and 18.5:9 aspect ratio. It is powered by the octa-core Exynos 9810 SoC in India; the 512GB variant comes with 8GB of RAM, while the 128GB option gets 6GB RAM. Both the variants support microSD cards of up to 512GB capacity. The smartphone launched with Android 8.1 Oreo-based Samsung Experience UX, though we can expect the new One UI to hit the smartphone in the next couple of months. Galaxy Note9 has 12-megapixel + 12-megapixel dual rear cameras on the back and an 8-megapixel camera in front. Other key features of the smartphone are the S Pen stylus, Samsung DeX support, 4,000mAh battery, wireless charging, USB Type C port, and IP68 water- and dust-resistance.